This 4 bedroom home is located on a beautiful, private, cul-de-sac lot in one of Greenville's most sought after neighborhoods. 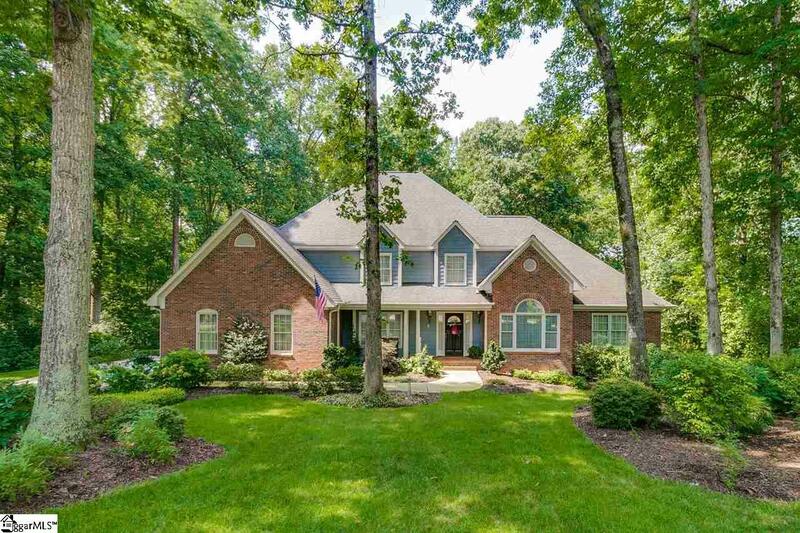 As you enter the home through the 2 story foyer, you will notice the gleaming hardwood floors. There is a living room which could also be an office, a large dining room, spacious great room with stone fireplace, gas logs and a wet bar. The master suite is also located on the main level and features a large master bath, double sinks, jetted tub, large walk in closet and an abundance of built in cabinetry. The kitchen also has a lot of cabinets and countertop space and the breakfast room has a built in china cabinet. Both have peaceful views of the backyard. The laundry room is on the main level and has one of the two half baths. Upstairs you will find a loft area that makes the perfect library and 3 additional bedrooms. One of the bedrooms has a private bath and the other two have a Jack and Jill bath. Each bathroom has a linen closet and there is plenty of storage in the walk in closets and walk in attic space. Per the seller, the third floor could be finished with access provided thru one of the closets. Spaulding Farm boasts award-winning schools, a clubhouse, 2 pools, tennis courts, an exercise facility, a walking trail and a playground. Spaulding Farm is a great place to call home! Listing provided courtesy of Margaret Marcum of Bhhs C Dan Joyner - N. Pleas.